*These 3 can be ground together in a blender. Flatten Lamb pieces by beating with a wooden hammer. 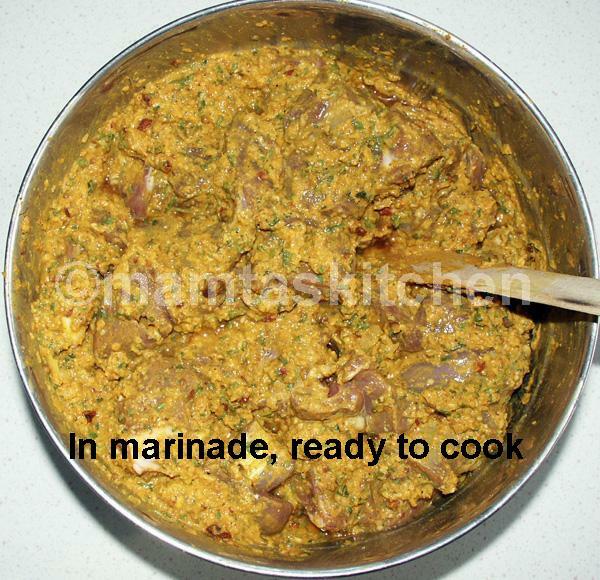 Mix all marinade ingredients in a bowl and add Lamb to it. Mix and leave to marinate for a few hours or overnight in a fridge. Add cumin seeds, fenugreek seeds, cardamoms, bay leaves, cinnamon stick and cloves. When cumin seeds crackle or splutter, add sliced onion. Stir-fry until dark golden brown. Add Lamb, all the marinade and water. Close the lid and cook on medium heat until Lamb is tender. You can cook it in a slow cooker at this stage. If cooking in a pan, you will need to stir it from time to time, to ensure that it does not 'catch'. Raise heat towards the end, until most of the liquid is absorbed. Ghee will separate at this stage. 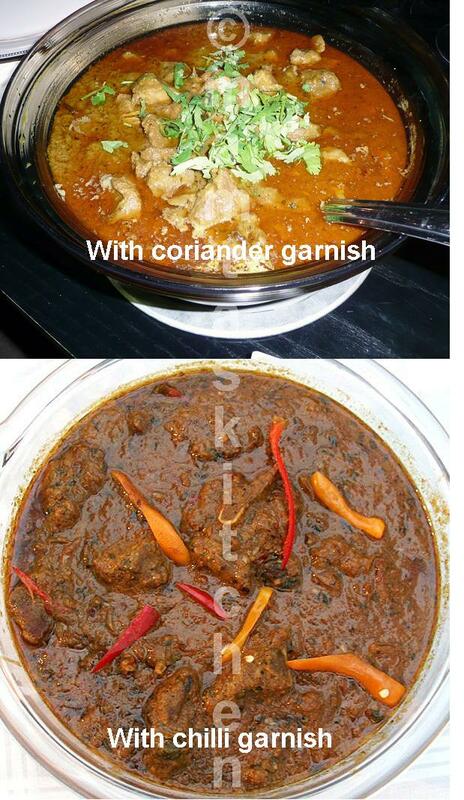 Adjust seasoning, add garam masala and coriander leaves and stir well. Serve hot with Chapatti or Tandoori Roti 1. You can add 2 tbsp. of dry methi leaves to the marinade. You can add 1/2 a cup of sour cream at step 7 for an extra creamy taste. Make sure that the yoghurt is at room temperature. If yoghurt is cooked straight from the fridge, it may curdle.